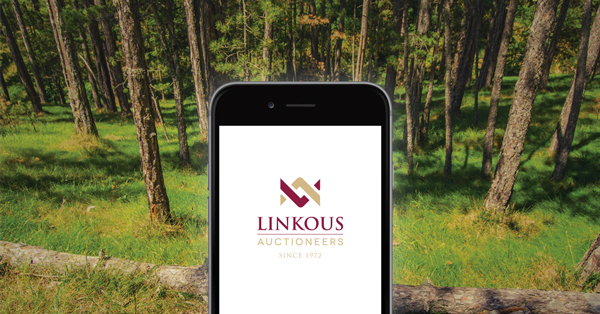 Linkous Auctioneers is a professional, full service auction company. Each auction is conducted in an ethical and courteous manner. We are members of the Virginia Auctioneers Association and National Auctioneers Association. We abide by a set of morals and ethics set up by these associations. Being a civic-minded company, we also enjoy conducting many fund raiser auctions to raise money for local and national charitable organizations. Let us help you get the most out of your property. Contact us today. THE ESTATE OF HAROLD HANKINS 1821 SMITHFIELD DRIVE, BLACKSBURG, VA 24060 VINTAGE FORD TRACTOR, CLUB CAR GOLF CART, JOHN DEERE 2425 LAWN MOWER, HOME FURNISHINGS AND KITCHENWARES Saturday, April 27th, 2019 10:00 AM Personal Property: John Deere 2425 Lawn Mower, 1930 Ford Tractor, Snapper Lawn Tractor with Bag-N-Wagon, Snapper Lawn Tractor with 11 HP Briggs & Stratton Engine with Grass Catcher, Club Car Golf Cart, TroyBilt 2450 PSI Power Washer, Radio Flyer Wagon, Hand Cart, Wernerr Ladders, Magic Chef SxS Refrigerator, Towle Sterling Silver Flatware, 4 Oak ArmChairs, linens and doilies, 2 wheel lawn cart. Leaf blowers, weed eaters, Hand Tools, Kitchenwares, Kitchen Aid Mixer, Community Plate Flatware, Chair and Ottoman Corner Table, Hump Back Chest, Quilt Stand, King Size Mattress with Frame, Antique Sewing Cabinet, 3 drawer antique chest, Thule Roof Carrier, Briggs & Stratton 8 HP Log Splitter, Snapper Lawn Cart, Wrought Iron Chairs, Upright Piano and Bench, Tea Cart, Pewter Tea Set, Signed and Numbered Prints, 8x10 Dining room rug, oval mirror, Pedestal Table, Ridgeway Grandmother Clock, Area Rugs, Folding Game Table, Upholstered arm chairs, coffee tables, end tables, sofas, Kay Murphey signed print Sony Flatscreen tv and dvd player, copper pot, Chidren’s books, VHS Recorder, Turk Signal amplifier, Sun room furniture, USA 5 gallon crock, King size brass bed and side table, office chair, coffee table books, Elna Sewing Machine and stand, Singer sewing machine and stand, Puzzle sorter, shower chair, Ebonite pool table, Camp lantern and Coleman Stove, Vintage Fire Extinguisher, linens, quilts, handkerchiefs, costume jewelry and many more fantastic treasures too numerous to mention! THE LIVING ESTATE OF TONI HERRERA AND PATRICIA KELLY 1270 Smith Creek Road, Christiansburg, VA 24073 Beautiful 3 Bedroom 2 Bath Home on 7.87 Acres with 1 Bedroom Guest Cottage, Yamaha 450 Rhino 4WD, New Holland 4x4 Model T1510 Tractor, Furniture and Household Items Saturday, May 11th, 2018 10:00 AM Real Estate will be sold at noon Real Estate: Beautiful 3 Bedroom, 2 Bath Home on 7.87 Acres with a 1 Bedroom 1 Bath Guest Cottage. This 2,833 sq foot home features a stunning stone fireplace, 2 car garage, open kitchen and living area, newly renovated master bath and many more features. This Property is a must see! Call Jennifer, 276-252-8595 for a walk through. Personal Property: Husqvarna YT42LS 42” Cut Lawn Tractor with 240.7 hours, New Holland 4x4 Model T1510 4x4 Tractor with 110 TL Loader, Yamaha 450 Rhino 4WD with dump bed and hitch, Backpack sprayer, Kobalt 2 ¼ ton floor jack, Mantis Tiller, Poulan 14” Chain Saw, John Deere LA115 42” cut Lawn Tractor with 691 hours, 12’ single axle trailer, Bridles, 4’ treated lumber, 6’ scraper blade, 5’ Bush Hog Auger, Lawn Cart, Wheel Barrow 15 piece place setting of Johnson Brothers Blue Willow China, Silver Flatware, Bar and Bar Stools, Desk and Chair, Wicker Sofa with matching coffee table and end table, dresser and mirror, Rocker, Small arm chair, 2 round end tables, 2 antique Underwood typewriters, Arabian Saddle, Burles walnut armoire, ¾ size Victorian Style Bed, Original artwork by Lila Courtney, Cedar chest, Singer sewing machines, Oak washstand, Gooseneck rocker, glassware, cowbell, Vintage camera, White Clad Ice Box replica, Oak Crest Rolltop desk, Ceramics, Oak Dining room table with 4 chairs and 2 leaves, Curio, Wooden glider, Outdoor furniture, wagon wheels, horse collar, dairy box, graniteware, and many more items too numerous to mention. Terms of Sale for Real Estate: 10% down day of sale. Cash or Check. Balance due within 30 days at which time a deed will be delivered. Sale of property will be subject to Seller's confirmation. A 10% Buyer's premium will be added to the final bid price. Terms of Sale for Personal Property: Cash, Checks, Visa or Master Card. A 13% buyer’s premium will be charged, 3% will be waived if payment is made by cash or check. Sale is Being Conducted by: Larry J. Linkous, VAAL #3 For Further Information, call: 540.961.2608 or check website at www.linkousauctioneers.com All information contained in this listing was derived from sources believed to be correct, but is not guaranteed. Any announcement made from the auction stand shall take precedence over any printed material. The Living Estate of Sam Snuffer 308 Roanoke Street, Christiansburg, VA 24073 4 Bedroom 2 Bath home with Household Goods, Furniture and Collectibles Wednesday, May 8th 2019 Auction Begins at 10:00 AM REAL ESTATE WILL BE SOLD AT NOON Real Estate: 4 Bedroom, 2 Bath Single Family Home located on a spacious Corner Lot that has been zoned commercial. This property would make an ideal office space near the new Montgomery County Courthouse. This property also features a large outbuilding for storage and ample space for a parking lot.Call Jennifer 276-252-8595 to schedule a walk through! Personal Property: More details to follow Terms of Sale for Real Estate: 10% down day of sale. Cash or Check. Balance due within 30 days at which time a deed will be delivered. Sale of property will be subject to Seller's confirmation. A 10% Buyer's premium will be added to the final bid price. Terms of Sale for Personal Property: Cash, Checks, Visa or Master Card. A 13% buyer’s premium will be charged, 3% will be waived if payment is made by cash or check. Sale is Being Conducted by: Larry J. Linkous, VAAL #3 For Further Information, call: 540.961.2608 or check website at www.linkousauctioneers.com All information contained in this listing was derived from sources believed to be correct, but is not guaranteed. Any announcement made from the auction stand shall take precedence over any printed material. Multi Parcel Commercial Real Estate 5309 Newbern Rd, Dublin, VA 24084 3 Commercial Parcels including 1 Carwash, 1 Office Building and One Vacant Lot Friday May 17th, 2019 12 Noon Parcel I: Existing Carwash Parcel Number 56-1-72 on .384 Acres Parcel II: Office Building Parcel Number 56-1-69 on .5 Acres Parcel III: Vacant Lot Zoned Commercial in high traffic area Facing Route 100 .371 Acres Terms of Sale for Real Estate: 10% down day of sale. Cash or Check. Balance due within 30 days at which time a deed will be delivered. Sale of property will be subject to Seller's confirmation. A 10% Buyer's premium will be added to the final bid price. THE LIVING ESTATE OF JAMES S. MILLER III 610 Preston Avenue, Blacksburg, VA 24060 Huge Collection of Vintage Toys and Games Antiques Collectibles Wednesday, May 22nd 10:00 AM Personal Property: Cobalt blue decorated Crock signed JB Magee, Federal Style wall clock, Metal candle molds, Victorian Settee, Mahogany Secretary, Glassware including Fostoria and Fenton, 3 tiered Piecrust Table, Antique wicker child’s rocker, Seth Thomas Mantle clock, Round Mahogany and Needlepoint chair, Large Mahogany executive desk, Book Cases, Quart size earthenware crock, Trunks, Cast iron Laundry stove, Handmade baskets, Vintage radios, Antique Carpenter Box with tools, Die cast cars, mixing bowls, Vintage License Plates, Christmas decorations, Fainting Couch, Bobblehead collection, Oak Highboy Bed, Antique sleigh bed, Vintage Movie posters, sewing machine stand – treadle style, Humpback trunk, Gone With the Wind Memorabilia, Political pins and bumper stickers, Metal yard flamingos, Cufflinks, Shaving Mirror, Quilts, King size mahogany Poster Bed, Marble top wash stand, Cast iron Scottish Terrier Door Stop Daybed, Ladies’ writing desk, Quilt rack, Chest of drawers, cedar chest, Samsung flat screen tv, Antique lever action rifle .22 cal?, Winchester Model 90 .22 slide action, Cobalt decorate milk crock, Vintage Lunch Boxes, Vintage Toys and Games, Dilly Brand Laxative Cast Iron Bank, Thomas Collector’s Edition Radio No. 0756, Curio Cabinets, Vintage Wicker Furniture, Brass Spittoon, Antique Child’s desk, Camel’s saddle, lamps, coffee tables, bookshelves, smoking stands, Punched Tin Pie Safe, Vintage Bread Boxes, Panasonic Microwave, Kitchen wares and small kitchen appliances, Handmade wooden doll house, Oak Hall tree, Books, Spinning wheel, Radiola Radio, Tea Cart, Marble top coffee and occasional tables, set of 3 nesting tables, cut glass lamps, corner shelves, decorative hanging wall shelves, jelly cupboard, side board, Mahogany half-moon table, mahogany dining table and chairs, mirrors, Framed antique portraits, gallon crock with handles, silver plate flatware and serving pieces, Unique antique mahogany parlor set, needlepoint footstools and fire screen, fireplace tools, ceramic Christmas Tree, Library Table, and many more items too numerous to mention. Terms of Sale for Personal Property: Cash, Checks, Visa or Master Card. A 13% buyer’s premium will be charged, 3% will be waived if payment is made by cash or check. Sale is Being Conducted by: Larry J. Linkous, VAAL #3 For Further Information, call: 540.961.2608 or check website at www.linkousauctioneers.com All information contained in this listing was derived from sources believed to be correct, but is not guaranteed. Any announcement made from the auction stand shall take precedence over any printed material.